The year is fast coming to a close. Most businesses will take some time out to spend some quality time with their family and friends. Before they shut up shop though, many will want to celebrate a successful year and reward hardworking staff. 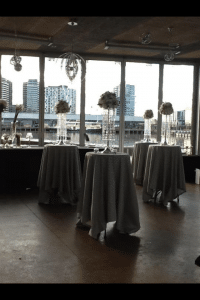 There is no better reward than a party on the waterfront at Melbourne’s leading corporate function venue, Harbour Kitchen. If you are responsible for your company’s end of year party, the Harbour Kitchen has everything you need to make it a memorable day or night. 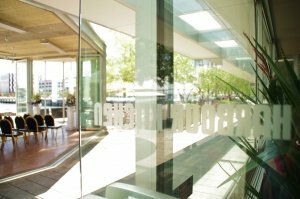 For businesses in or near the CBD it makes sense to host your end of year party at a function venue nearby. Just a few minutes walk from the very centre of Melbourne or easily accessible by tram in the free city zone, the Harbour Kitchen is extremely convenient. Better still, the setting is magical. On the waterfront and with the skyline behind, you can enjoy great views in every direction. At Harbour Kitchen we understand that different businesses and people have different needs. 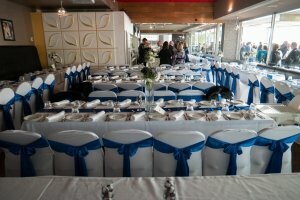 This is why we offer a function venue that is as flexible as it is stunning. We have two fantastic corporate function rooms to choose from. 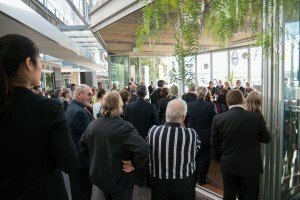 The glass pavilion is ideal for large gatherings, offering space for over 300 guests and floor to ceiling windows for picture perfect views. Smaller, but equal in style and elegance, our lounge room can seat upwards of 180 diners. 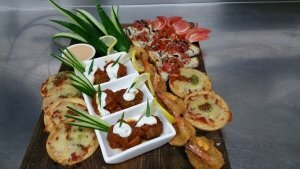 The flexibility of the Harbour Kitchen function venue extends to our catering options. We can accommodate the dietary requirements of you and your guests and go to great lengths to ensure our guests receive the very best food and beverage package. We listen to the various requests that are inevitable with large groups and cater accordingly. Harbour Kitchen will take care of all your needs, so you can relax and enjoy the day or night with your colleagues and friends.